I grew up with pets (mice, Guinea pigs, birds, cats, dogs, horses) and have always loved spending my spare time with animals. I have decided to pursue a career in veterinary nursing to be able to spend more time doing what I love; helping animals. I own an 11 year old chihuahua and a 7 year old chihuahua X Tenterfield terrier. nI&apos;ve had them for over three and a half years now. One is super relaxed and loves to curl up in a warm spot and sleep all day, whilst the other is quite energetic and loves going on long walks/runs and playing with her teddies. Both of them are very loving and I wouldn&apos;t change anything about them. Currently studying a certificate 4 in veterinary nursing. Experience in equine care and agistment (including feeding, riding and grooming). Spent approximately 8 months working in a veterinary clinic. Can administer oral and injectable medications, first aid and CPR, familiar with dog training techniques, experience with behavioural problems, and experience with rescue pets. I provide care for animals (predominantly dogs, cats and horses) in their own homes. Offering either one visit per day, two visits per day, or sleepovers. I am able administer medications if needed. Animals will be provided plenty of playtime/attention (if they want it), including daily walks for dogs. I love spending time doing what I love whilst gaining more experience in animal care, enrichment, behavioural problems and training techniques. 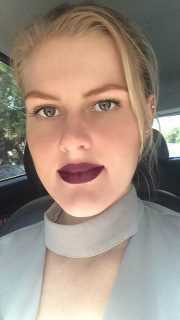 Chloe's service is located in or nearby Upper Coomera, Queensland. Book via PetBacker for Insurance, Payment protection & 24x7 support. If you have hired Chloe before, leave a review now. Contact Chloe now with your pets info. If Chloe is busy, we can help include similar Backers.